a-England is a brand that has a special place in my heart. I have spoken before of Adina's amazing ability to take a colour and a texture and transcend it into an art form, but she truly does. Every a-England is a work of art, care and craft, and beyond special. So, Saint George. Firstly, apologies. I meant to wear this on April 23rd, St George's Day, and ran out of time. Another apology - when this collection came out in January, I was disappointed with the colours on parade - can you believe that? Adina, profuse apologies, profuse. 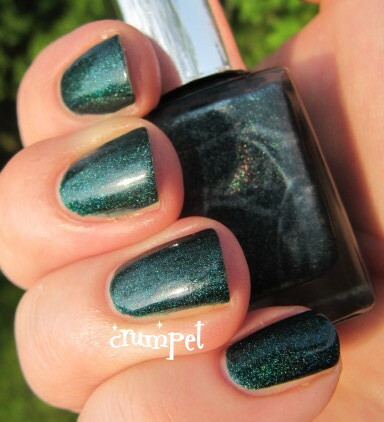 Saint George is commonly described as a teal scattered holo, but to be honest, I struggle to see the teal tones, and to my eye it's more of a blackened emerald, dark and dizzying with its depths. 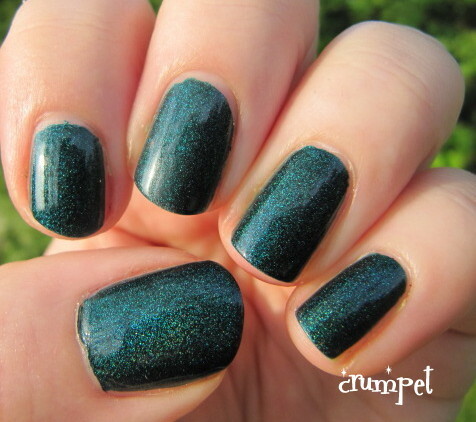 This is a dark, dark, dark green. Think conifers, cucumber skins and watermelon rinds and you're on the right path. The holo though, is what makes this polish so precious. 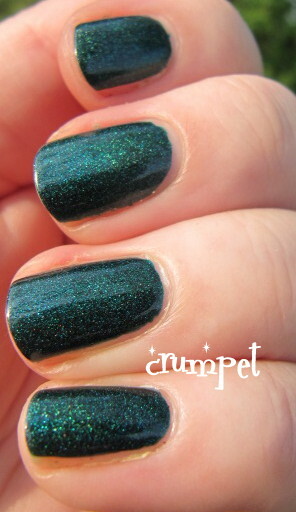 Scattered, the holo looks like it's buried deep within, offering itself to the light through your nails. It's mystifyingly deep, giving the whole nail (not just the polish) an almost 3D experience. The holo glows like emerald fireflies, electric and toxic, and fatally beautiful. Be warned. Saint George may be the hero of the story, but his ability to bewitch is definitely villainous.